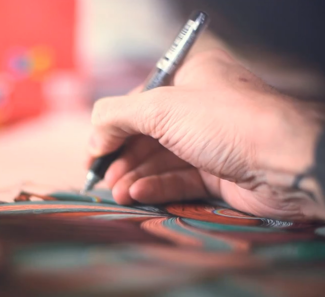 Damien Vignaux a.k.a Elroy has shot this documentary about Supakitch and Koralie (check also this post) for the website of Posca markers. Damien Vignaux a.k.a Elroy ha girato questo breve documentario su Supakitch e Koralie (vedi anche questo post) per il sito dei pennarelli POSCA. I just want to tell you that I am just very new to blogs and definitely liked this blog site. Very likely I’m want to bookmark your blog . You really come with remarkable well written articles. With thanks for sharing your web page. I am preparing to transfer to Australia permanently. With any luck, my migration process will be completed this year as well as I will certainly relocate the start of 2011. Can someone suggest some excellent sources and also blog sites about making the plans for resolving in Australia?. What organizing sites will permit my blog to earn money off adds being put on my blog site? Thanks for another informative blog. Where else may I get that kind of info written in such a perfect manner?